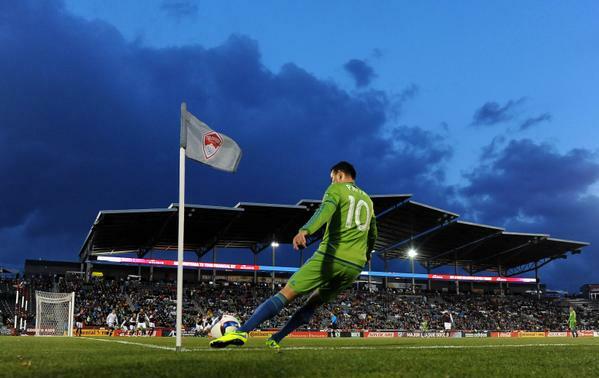 The Colorado Rapids host Sounders FC in regular-season action. 7’ - Colorado trying to get back into the match after Lamar’s stunner. Just a fabulous finish. FABULOUS. Heart him. 8’ - Harrington comes back across the area and puts the ball to the far post but nobody home. Nobodyyyyyyyyyyy. 9’ - He also played for the Timbers so BOOOOOOOOO HARRINGTON! 11’ - Sounders pressing here. High pressure on the Rapids. Catching the home side on the ball. Ozzie doing his thing. 13’ - Sounders traveling support filled their section. Nice. 13’ - Yellow card for Marshall who slides in very aggressively on Sanchez. Good call. 15’ - FK coming for the Rapidos. They have some good set piece dudes. Storms are rolling into Toyota Stadium and half our lights have just gone out. 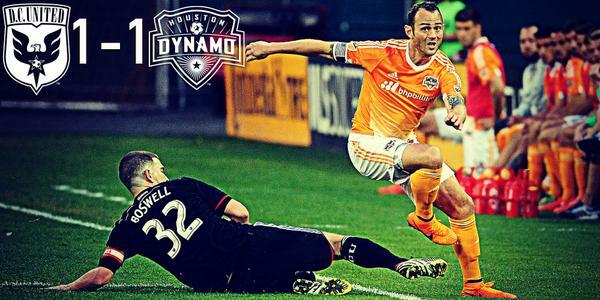 We're going to take a break with FC Dallas leading 3-0. 15’ - WHAT A SAVE! Ball played out wide and then crossed into the area. Powers WIDE OPEN header pawed aside by Frei. 18’ - Lovely ball movement there by Seattle. Remick waits and waits and cross and Oba pops the header at Irwin but held. 76’ - I’m sure he’s a nice guy but Bobby Burling may never recovery from that Martins’ goal. 77’ - @MLS, don’t bother with Goal of the Week this week. 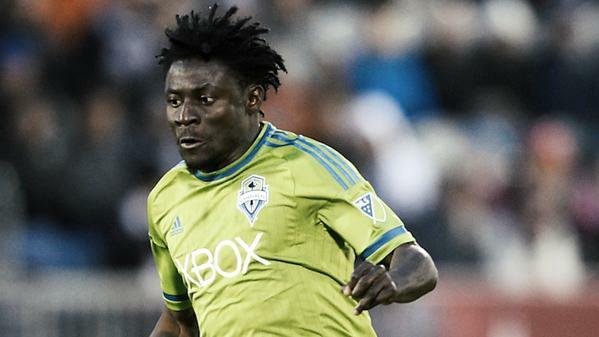 Just give it to @Obafemimartins at the final whistle. Thanks. 80’ - Riley off for Rapidos. Serna on. Neato! 82’ - Serna right into the action working on Rose. Not today, sonny. Andy all over it. 85’ - Serna slips Tye Mears but Brad gets over and slides it out of danger. Looked Zach Scott-esque right there. 87’ - Lamar saves it on the near sideline and slices the cross in but Roldan can’t get there. ROLDAN. 88’ - Brad with a goal-saving header there. Deep cross comes in and the box was flooded with burgundy but Evans heads to safety. NOICE. 89’ - #LeoSub! #LeoSub! #LeoSub! #LeoSub! #LeoSub! #LeoSub! #LeoSub! #LeoSub! #LeoSub! #LeoSub! #LeoSub! #LeoSub! #LeoSub! #LeoSub! 89’ - #LeoSub! on, Andy Rose the most handsome man in Colorady off. 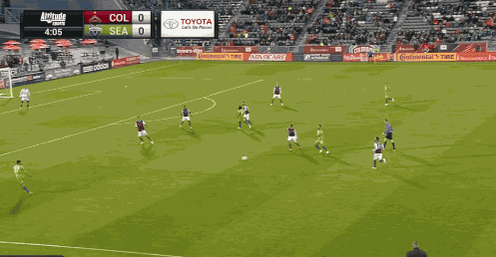 90+ - Another chance for Colorado as the ball slides wide to LaBrocca who rifles it over the goal. Ok then. 90+ - Tick tock tick tock tick tock………. 90+ - Colorado trying to get one back. NOT GONNA DO IT! WOULDN’T BE PRUDENT! FT - Great three points on the road. Lamar gets his. Oba does Oba. PDX next week. FT - I had fun tweeting tonight! Hope you all enjoyed. This is @shanevans heading out.